The ideal combination of nature and culture. In Rio Lagartos we do a boat trip to see flamingos, crocodiles and birds. We take a "Mayan Bath" with mineral-rich mud from the area. 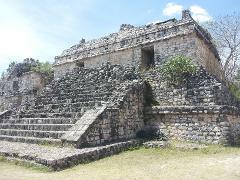 And then we continue to Ek Balam ruins. 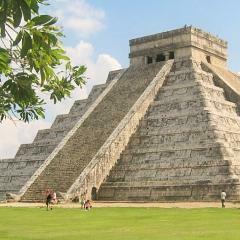 Chichen Itza & Valladolid. Mayan Site, Cenote and Colonial city.